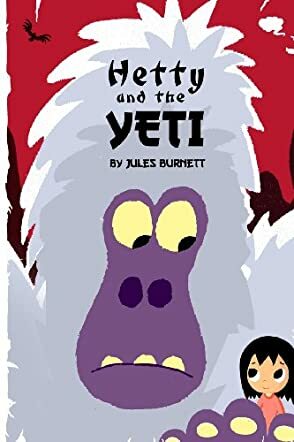 Hetty and the Yeti is written by Jules Burnett. Minky is a deceased Mountain Marmot who’s an official assistant to the spirit guide. His mission is to remain invisible and follow a Tibetan girl named Hetty. Hetty rubs a special amulet given to her by Shappy, her great-grandmother, and is transported to Tibet. She’s scared when she meets a Yeti who takes her to his cave. Shappy’s ghost appears and tells her descendant a strange story about the Yeti. She explains that Hetty has a destiny to fulfil, but the girl does not want this responsibility and returns home. The Yeti follows her and creates havoc in the strange environment. He grabs Hetty and climbs Big Ben to escape from the terrified crowd. Minky wonders what he can do to help without angering the spirit guide, and Hetty realises she has a decision to make that will change her life forever. You will constantly chuckle when reading Hetty and the Yeti by Jules Burnett. That’s because the entertaining story is narrated by the lovable Minky the Mountain Marmot who has an awesome sense of humour. He makes amusing comments about his death, and the stinky odour he cannot get rid of, but tries. The author impressed me with this creative, fast moving story. I like the Book of the Dead quotes and witty poems that Minky chanted, and am also fond of the other main characters. Although this is a children’s story, adults will also enjoy reading it as well.